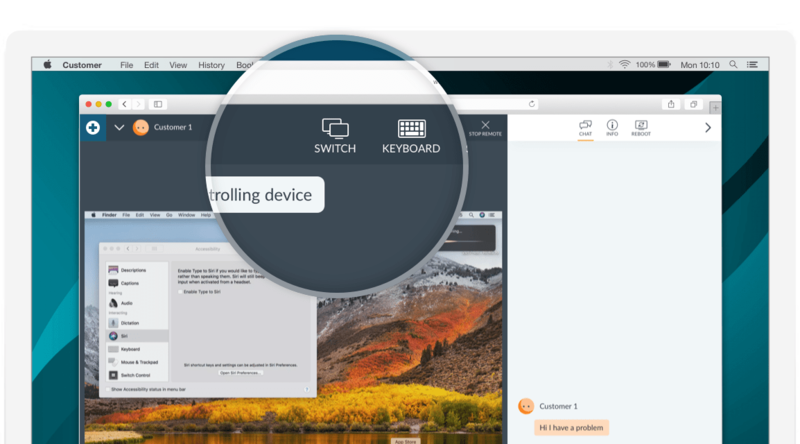 Quickly move between all of your customer’s monitor screens. There’s no denying the productivity value of a multi-screen setup. Many of your customers or end users are likely to have two or more connected with applications and windows spread across them all. But don’t worry about missing anything. RescueAssist will alert you right away what their setup is like, so you know exactly what you’re working with.